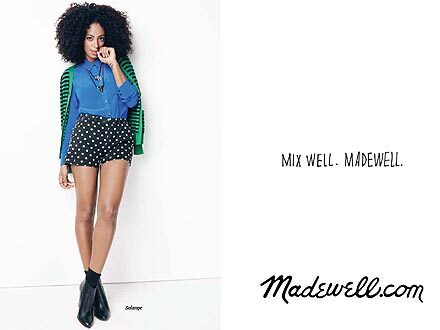 The theme of the campaign, which can be seen in full below and in Madewell’s latest seasonal Stylebook, is “Mix well. Madewell.” The DJ/it girl did what she knows how to do best; expert mixing, with Madewell’s fall collection just as well as she does in real life. There are stripes with florals and chambrays with denim and perfection and I want it all (especially the denim, they have the best fitting denim ever). Click through the pictures to see what we mean!